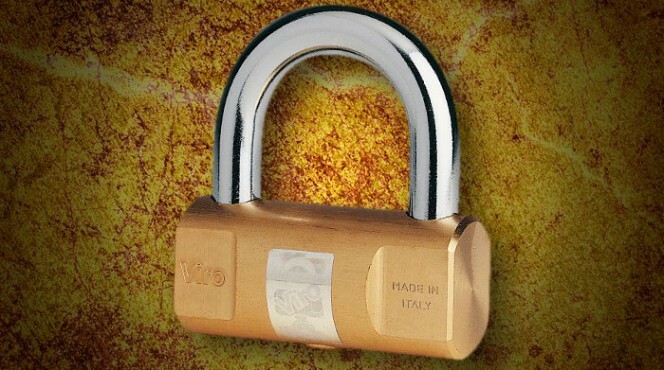 The cylindrical padlock is a real trademark for Viro, which designed it in 1942 and has produced it ever since. The Viro cylindrical padlock has unique features which make it much more secure than common shackle padlocks, whilst remaining roughly in the same price range. Let’s look at 5 of these features. 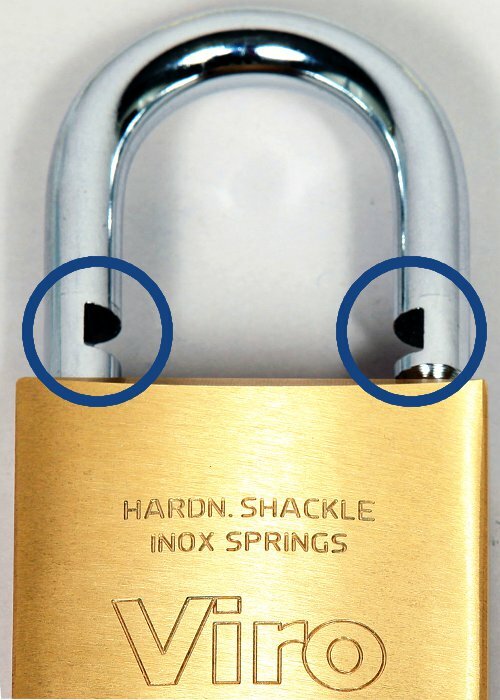 leaving the padlock open whilst thinking that it has been closed; this is impossible with the Viro cylindrical lock since if we have the key with us it means that the padlock has been closed. closing the padlock and accidentally forgetting the keys inside the premises or container which is being closed, meaning that in order to retrieve them one must have a copy of the keys or force the lock. This is not possible with the Viro cylindrical padlock, as it is impossible to close it without having the keys. The Viro cylindrical padlock is more resistant to brute force attacks compared to ordinary locks because the thickness of the cylindrical body is greater than that of normal rectangular padlocks. This allows one to insert, with the same body width, internal components and shackles which are larger in size. The shackle, in particular, is one of the critical factors for the security of a padlock, because it is the component most exposed to attacks. The shackle can reach a diameter of 14 mm in Viro cylindrical padlocks, whilst in the normal rectangular padlocks it typically does not exceed 12 mm. An extra two millimetres in diameter corresponds to a 36% larger section, which is much more difficult to break or cut. The rounded shapes have the additional advantage of making it difficult to lock the body in a vice and this therefore hinders the use of cutting or lock picking tools. The latch is the dead-bolt, located inside the body, which keeps the shackle closed. It is a crucial component for the security of a padlock because one of the most commonly used burglary methods is the ripping of the shackle from the body. Poor quality padlocks only have one latch, whilst the best ones have two. 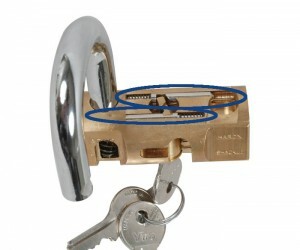 However, even in the best rectangular padlocks the two latches are positioned on the same axis inside the body, because the dimensions of the body do not allow for alternative positioning. The position of the latches in a rectangular padlock can be easily deduced by observing the features present on the shackle in which the latches are inserted when the padlock is closed. The milling on the shackle corresponds to the position of the latches; in a rectangular padlock they are located on the same axis, inside the shackle. Amongst the various advantages of the cylindrical body there is also the possibility of positioning the 2 latches on different axes on the 2 outer sides of the shackle. This increases the distance that separates them and, therefore, their ability to resist levering. Also, the two latches of the Viro cylindrical padlock are made of case-hardened, tempered and nickel-plated steel, which is a much more resistant material than the brass commonly used. 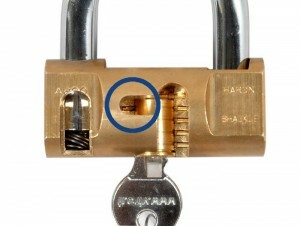 The Viro cylindrical padlock is particularly resistant also to attempts to open it by lock picking because it has an additional security piston positioned on the side opposite the standard pins. The piston is not operated by the teeth, but by the back of the key. This makes it much more difficult to attempt to open the lock with a pick because, as well as aligning the standard pins in the correct position, one would also need to simultaneously raise the additional pin, positioned on the opposite side. The security pin of the Viro cylindrical padlock, located on the opposite side to the standard pins, provides additional protection against opening by picking the lock. Like all Viro padlocks, the cylindrical padlock also has the plug protected at the rear by a safety plate which prevents reaching the latches and operating them with burglary tools. The high quality materials and precision workmanship also reduces to a minimum the clearance between the various components. Padlocks which have significant clearance between the various parts are more vulnerable both to brute force attacks and lock picking. A shackle that is not tightly secured is more easily ripped off and a lock machined with large tolerances simplifies the opening with a pick by manual alignment of the pins (lock picking). Thanks to these features the Viro cylindrical padlock is much more reliable and secure than normal rectangular padlocks, whilst still being very competitive compared with more complex padlocks, such as armoured ones or steel monoblock ones. This is why the product has been popular for more than 70 years. Like all successful things the Viro cylindrical padlock has also been imitated in many ways. Padlocks are found on the market which are apparently the same, but their mechanisms are very different and much less secure. However, it is very easy to distinguish the original; just check for the presence of the Viro hologram on the body. 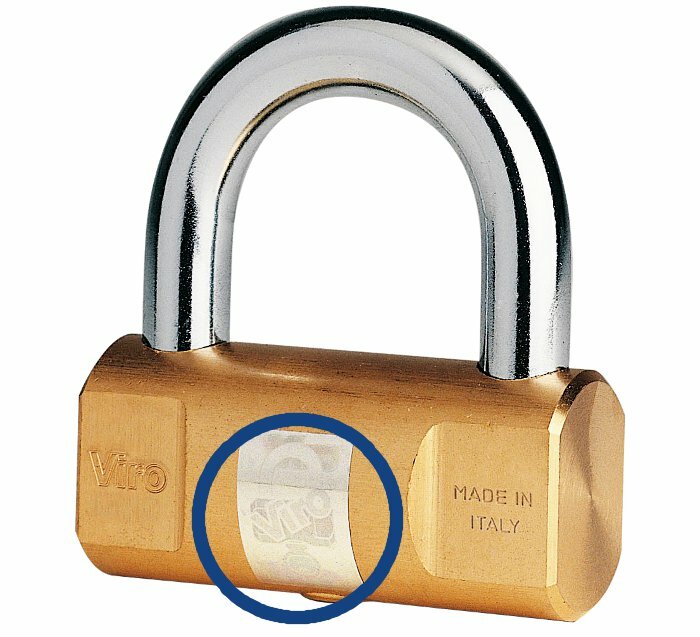 The hologram which allows you to recognize the original Viro cylindrical padlock. This entry was posted in Padlocks and tagged products on 15 September 2014 by Mara Rossi. 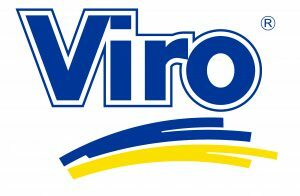 I am a Viro padlock collector and also, all the locks in my house are from Viro. Just a short question on the cylindrical padlock, I remember in the 80s to early 90s Viro produced 90mm, 100mm with 110mm being the biggest. thank you for your loyalty to our brand! Unfortunately we ended the production of the cylindrical padlock bigger than 80mm many years ago. We will look for one of them in our historical warehouse when we will reopen after the summer vacation at the end of August and if we’ll find any we’ll email you. Many thanks for your reply, at least now I know and have a slight chance to see my beloved giant Viro padlock again. I have typed my personal email in this email thread box. Hope to hear from you soon.